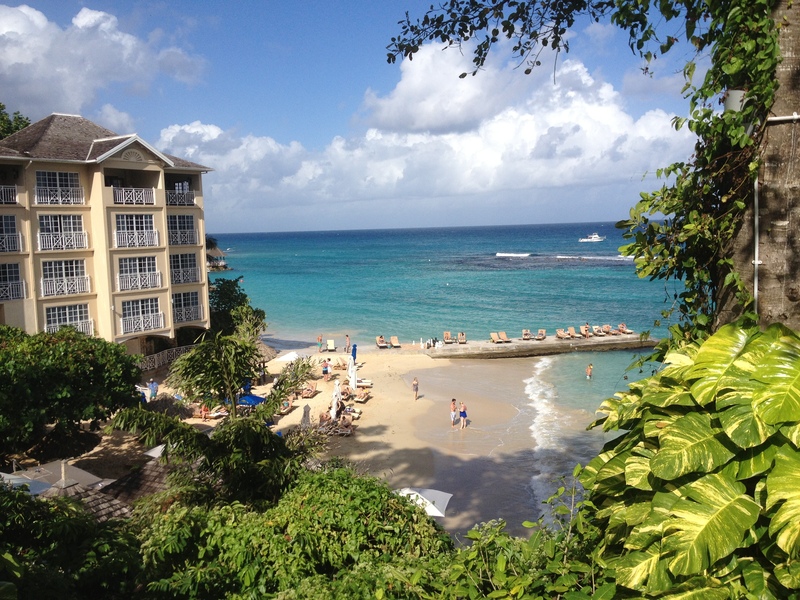 My husband and I recently stayed at the Sandals Grande St. Lucian for our honeymoon for a week in early November. We flew out of BWI, had a connection in Miami, then right to the island. The flights were not long however in between the transfer, it did take at least 8 hours total. The airport in St. Lucia (Hewanorra International) is very easy to navigate since it is quite small compared to U.S. airports. 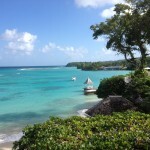 You get whisked away quite quickly to the Sandals lounge and then we only waited about 10 or so minutes for our shuttle. This is something we really, really wished we would have opted for another mode of transportation. The ride from the airport is at least an hour and a half, longer if you are dropping other travelers off at separate Sandals resorts. There is an option for a private helicopter transfer, at an additional cost, which I’m sure has spectacular views and take significantly less time. Something I would recommend! Our initial impression of the resort once we checked in was “WOW!”. You can see the beach and the bay from the lobby and it is simply beautiful! The check in process was very easy and we were taken right to our room. I personally did not like the fact that they would bring our luggage down to our room because it took a little long and by the time we were finally in our room, we wanted to shower and get some dinner. Our room was fantastic, we had the Honeymoon Walkout room that lead right out into the gardens. We could see the beach from our porch and the hot tub/side pool was only a few steps away! The bed was extremely comfortable, the room was spacious enough for two, and the bathroom was large enough for us not to be in each other’s way. The shower worked well, however it could use with some repairing for a few “well worn” spots. The grounds of the resort were beautiful, well decorated and very clean. The pools were never dirty or overcrowded and the pool bar service was very quick. The towel hut was always stocked with beach towels (note to self, don’t bring personal towels next time… we never used them!) We were very happy with the quality of the beach, it was clean and never once was it over crowded! They had water hammocks in the water and we never had to wait too long to go relax in one. The beach is not private so there are solicitors selling tours/activities/souvenirs. Usually if you were not interested, they were friendly and let you be…No pressure, no problem! There was one or two guys that were pretty persistent, however it was never much of a bother to us. I would recommend that if you want a prime beach or pool spot under a nice shaded palm tree or under a covered hut, definitely get up early and go put a towel on your chair. We did notice that people were “reserving” their spots by 7AM, so if you have a favorite spot be sure to get your towel out there early. The food and restaurants were excellent, however sometimes the service could be a little slow. One or two times we felt like we had been forgotten, once at Toscanini’s and another at Bayside (dinner service). We definitely had our favorites, Dino’s pizzeria was phenomenal…I wish we had one at home! They are only open for lunch service from 11am to 4pm. We also went to Sandals La Toc for dinner at the Japanese Kimonos, a hibachi style restaurant. This was hands down our best meal, the chef we had was funny and very good! The food was excellent and we were lucky to have a lively table. We found that the desserts were average, not our favorite part. 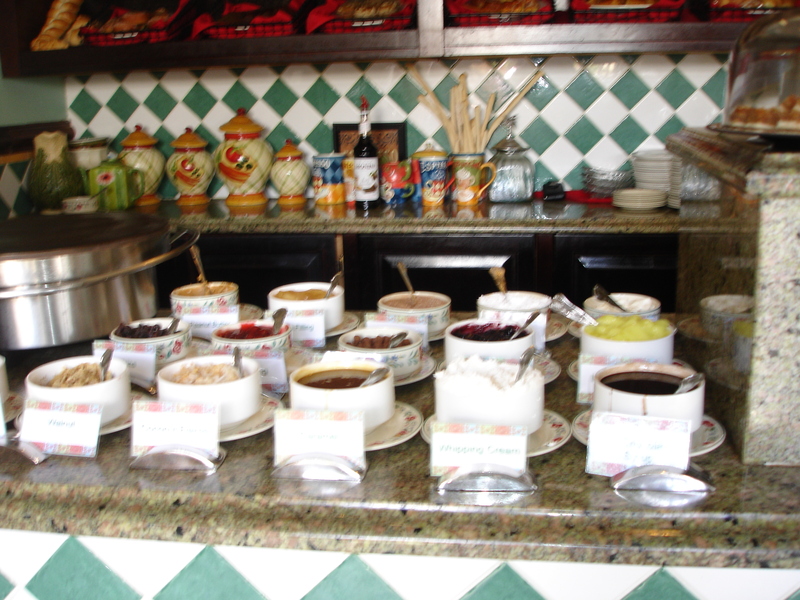 However, I think we tend to “over sugar” our desserts in the U.S. so anything abroad may not be the same. We had met with the sales manager, Nadia, while on our stay and did a site tour of some of the larger suite options. The first suite was the One Bedroom Butler suite, what an excellent room with a separate living area and two bathrooms. A fully stocked mini bar and extended balcony are excellent additions to this room. The balcony looked directly out onto the beach, beautiful views! The second was the Swimup Lagoon, it was the same size as our suite but instead of a porch there was a small landing and a few steps right out into one of the more quiet pools. It’s very serene and peaceful, complete with two pool rafts for your own use. These rooms did not have any views of the beach, but as I previously said it’s excellent if you want a quiet private space to relax. The last suite we saw was the Rondoval suite… we were blown away by this room! It is essentially your own little house, completely circular with excellent bathrooms, sleep space, and butler service. There’s a personal “backyard” area with a personal Jacuzzi and dip pool. Also, there are misters on the roof to help keep you cool and an outdoor (private!) shower! 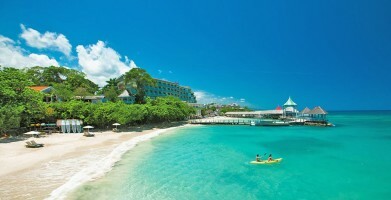 We had definitely wished we would have booked this room, but do not be fooled by the pictures Sandals has online. The pictures depict walking out right from your balcony to the beach, however there is a privacy fence in place so you would have to exit around the “village” to access the beach. 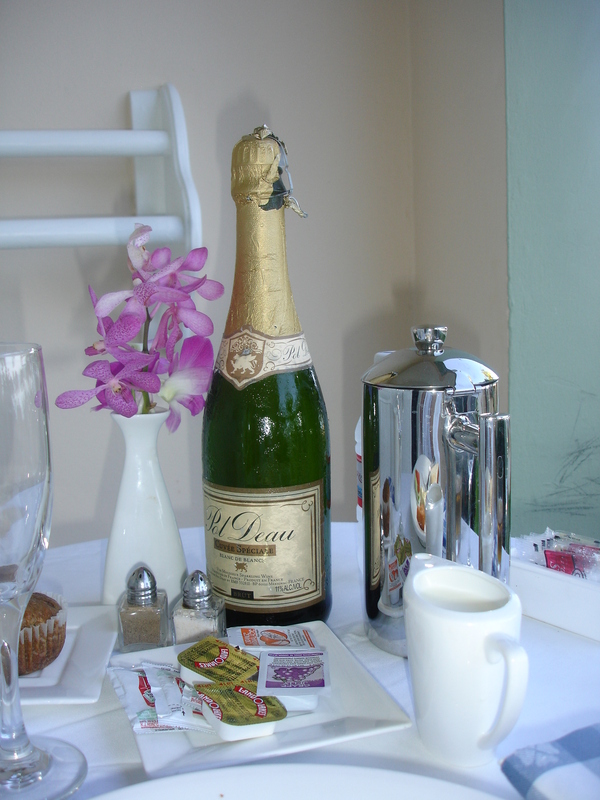 This is an exceptional resort for honeymooners or anyone celebrating an anniversary. The whole vibe of the resort is very romantic and since there are many honeymooners there you can feel the love. I never realized what a difference it makes staying at an adult only resort, but it was excellent to not have kids running around and splashing in the pools. A very large perk if you’re trying to relax with your new spouse! All the other couples we had spoken with were very happy with the resort, one British couple said “This looks just like a postcard!” We had also spoken to one or two couples who had gotten married at the resort and they raved about how wonderful the wedding department staff was and the ease of planning. This resort is not well suited for a “quick vacation” since it is currently the furthest Sandals from the U.S. 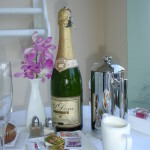 But I would definitely recommend very highly for a week or longer stay, especially for a honeymoon or anniversary trip. We cannot highly praise this resort enough, I would be more than happy to share any of our photos of the resort and beautiful St. Lucia. Please feel free to contact me for any information about Sandals Grande St. Lucian…I’d be more than happy to help you plan your dream Caribbean vacation! Email me at: E.kesslerwhitmarsh@gmail.com or my phone number at 717-779-5377. 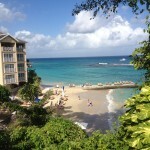 I wanted to take a minute and give a little feedback on Couples San Souci in Ocho Rios Jamaica. I recently stayed at the resort to be a part of my cousins wedding. This resort is very beautiful and very intimate. Rooms have the true caribbean feel and decore is very laid back. You won’t find glitz and glamour with tons of marble and granite and sparkles..what you will find is comfortable beds…very caribbean colors and beautiful grounds worth taking your time to enjoy. The downside to this is I would not recommend this resort to those that might have issues with walking stairs. You can use a shuttle but sometimes you don’t want to have to wait so to get certain places there are a good bit of stairs because part of the resort is built on a bluff which is why I love it. 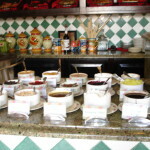 There are 3 restaurants for evening dining and all serve very good food. Also room service is available until 11 and then at the beach grill you can get snacks until 6am so you should never go hungry. There is also a beach grill available on the Au Natural side if you are there during the day. My cousin got married on the gazebo that sat up on the bluff and the view and sounds were stunning. It was what I would call picture perfect and the wedding staff did a wonderful job in making her day special. 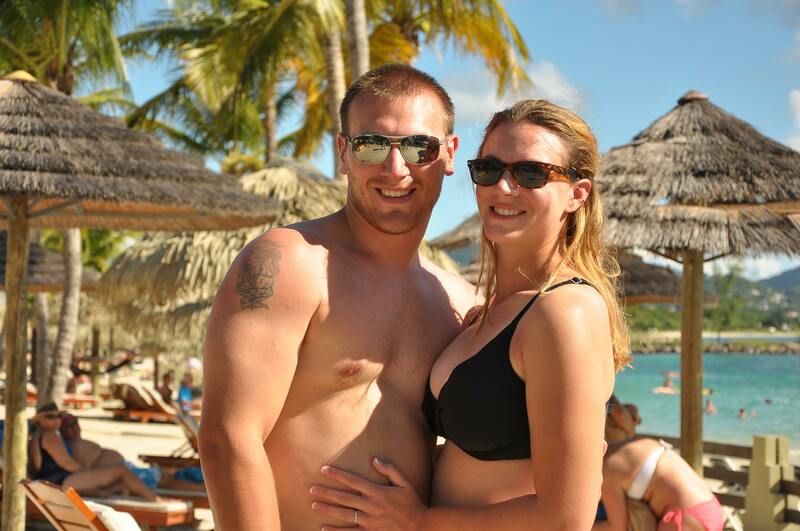 They also took advantage of the free scuba class and dive and her husband enjoyed it…she decided it was not for her. If Scuba is not your thing they do offer two snorkeling trips a day as well as glass bottom boats..water tricycles, kayaks and other options that are all included in your price. Couples also includes some excursions and they vary depending on which resort you are staying at. We did Dunns River and had a blast. I would recommend this tour to everyone at least once..kinda cool how the falls runs right down into the ocean like it does. If I had to post any negative comments it would be the drive from the airport is quite long but if you want this area you are going to have the drive whereever you stay and there is a lot of steps…also the evening entertainment I felt was a little lacking but we were normally to tired from enjoying all the day had to offer to really enjoy it. 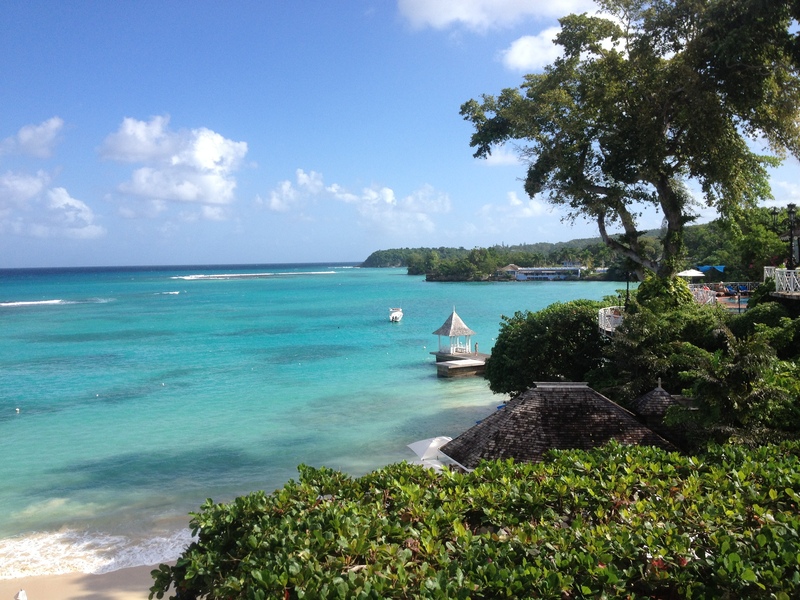 If you are looking for a charming resort with true Jamacian feel and great service and food this would be the resort for you. The Quik Pod is a compact, light-weight handheld tripod that extends the reach of your arms and hands so you’re not restricted to awkward close-ups when no one else is around to snap your picture or video. A built-in self-positioning mirror helps you center each shot. The whole kit fits easily into your pocket, purse, or backpack when not in use. Why It Was Recommended: No more extreme close-ups. Suzanne received this handy tool from her Sister in Law Donna for Christmas! Thanks Donna. 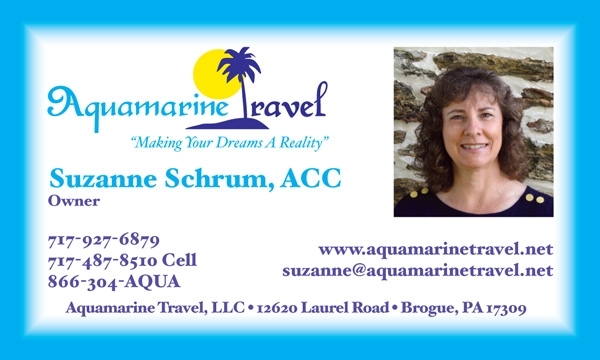 Suzanne will be testing the Quik Pod out on her upcoming trip to St. Lucia. She will let you know how it works out. 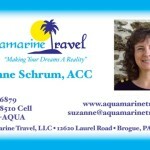 Look for more information on the Quik Pod and St. Lucia after Suzanne returns February 6, 2010.